This is a unique species of catfish found in the ocean and occasionally in estuaries. Their eel-like tail fish are where they get their name. 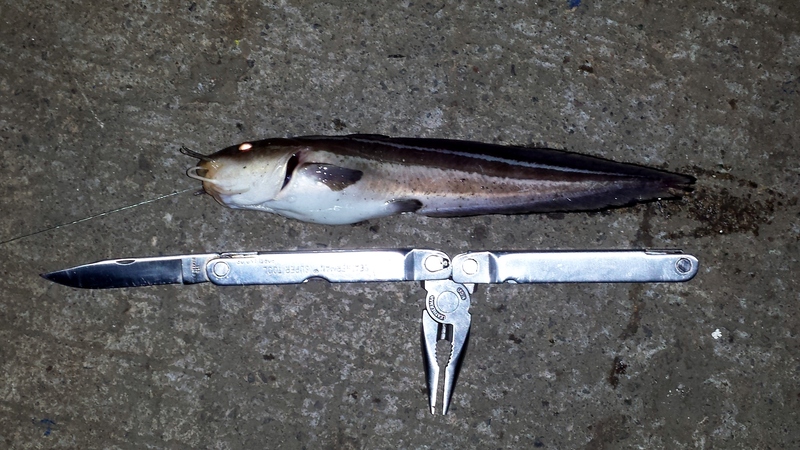 These catfish are usually quite small though bait anglers may catch some up to the max size. There is a related species that grows quite large and makes more of a prize than these little guys. It is not uncommon to see schools of these catfish swimming in dense balls around reefs where they feed. Like most catfish in the Philippines the spines on the eel-catfish venomous. They leave a very painful sting that lasts for a while. Anglers should exercise care when handling these fish. These fish are edible though they are not a sought after fish. Posted on November 6, 2013, in Catfish (Hito). Bookmark the permalink. Leave a comment.